This DIVASTA built single story townhome is a must see! Sitting in the perfect location within the beautiful community of Sun Terrace. This townhouse has a huge screened patio & is located at the end of a quiet cul-de-sac with lots of green space and parking. This adorable and very well maintained property offers a NEW ROOF, freshly painted interior, new washing machine & a newer hot water heater. The large covered & screened patio was just freshly painted and the screens were just replaced. The patio offers an enclosed storage closet where the hot water heater has been relocated . 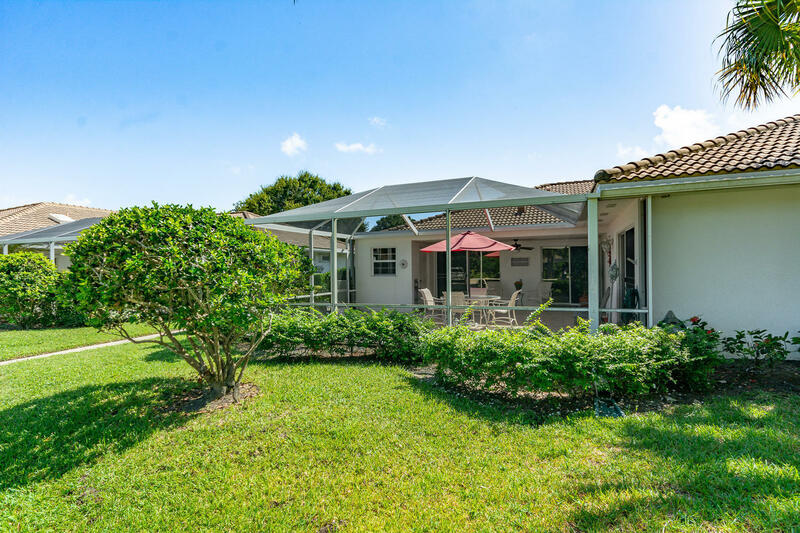 Sun Terrace is a highly sought after hidden gem of a community located off a quiet 25 mph street lined with beautiful & mature oak trees in the heart of Palm Beach Gardens. Unbeatable location and low HOA!